Podcast: Daily update and available after its broadcast. On Thursday's Backchat, Occupy Central sentencing. The District Court has sentenced four pro-democracy leaders for terms varying from eight to 16 months over the 2014 protests, while sparing another four custodial sentences. Legislator Tanya Chan's sentencing will be adjourned because of life-threatening condition in her brain. Pro-Beijing lawmakers said the sentencing was too lenien, while the judge said that none of the defendants expressed any regret. What do you think of the sentences? Will they inhibit freedom of expression, or simply mark its boundaries? Has justice been done? 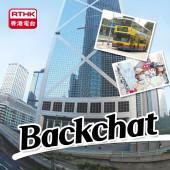 Leave a message here, or email us at backchat@rthk.hk, or call us after 8.30 on 23388266.